With Levi I began many new adventures. 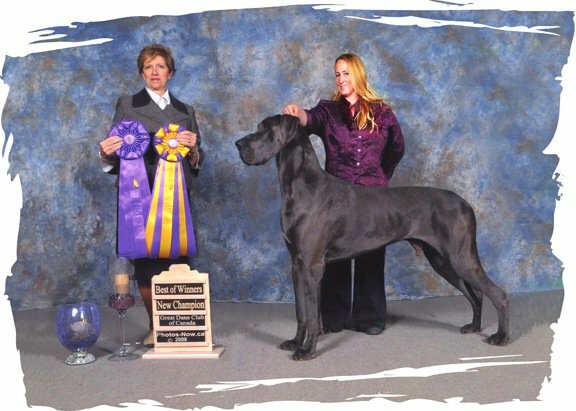 When Levi turned six months old we stepped into the crazy world of Dog Shows. 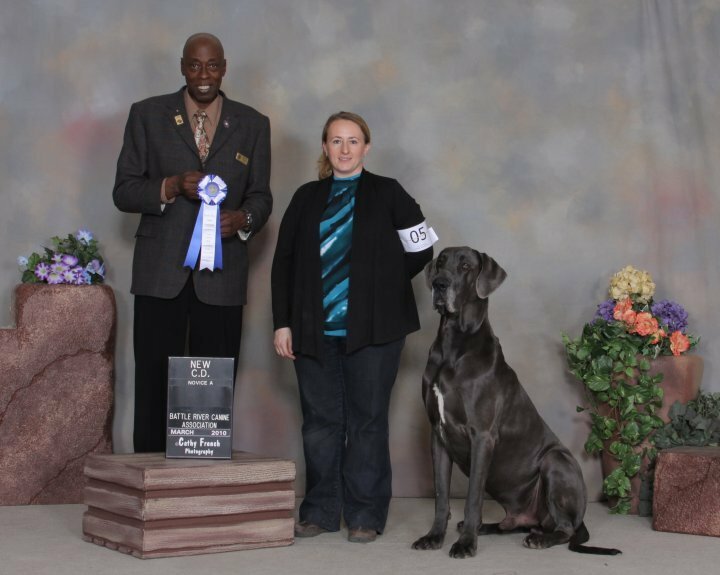 Levi was always patient and so happy as we learned the ropes with the unending support of his breeder, Marni Kueber of Dark Horse Danes, who has in many ways shown me what it means to be not just a good breeder but a great one. 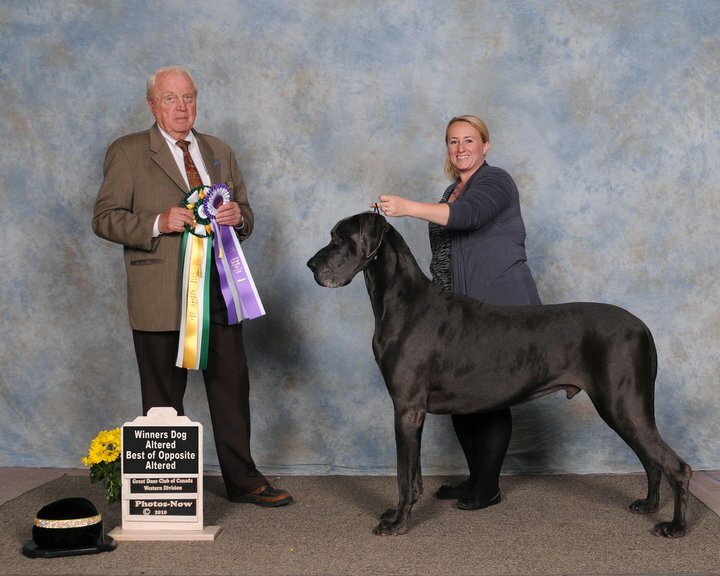 Levi took longer to mature and get his conformation CH title than his siblings but he earned it in a huge way, by going BOW at the Great Dane Club of Canada's 2009 National Specialty out of an entry of close to sixty Great Danes. Conformation was where Levi and I got to play. 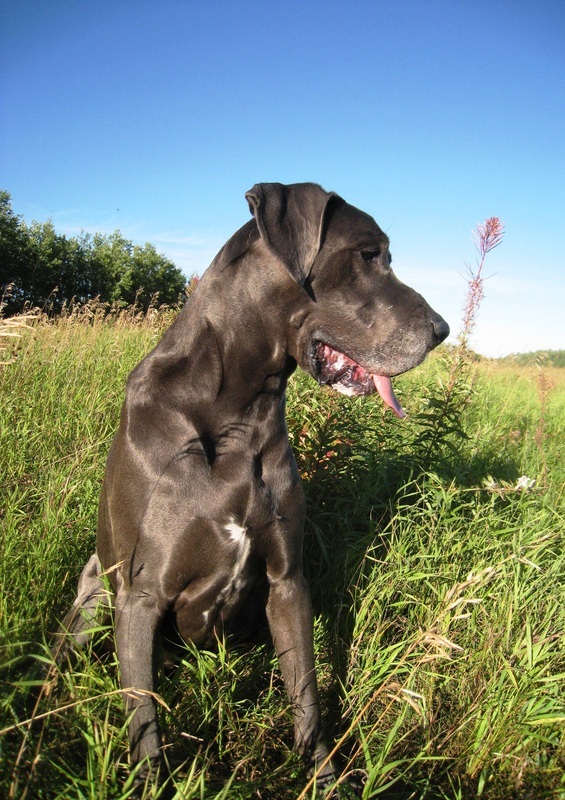 Obedience was our chance to work together as a team and my team mate NEVER let me down. 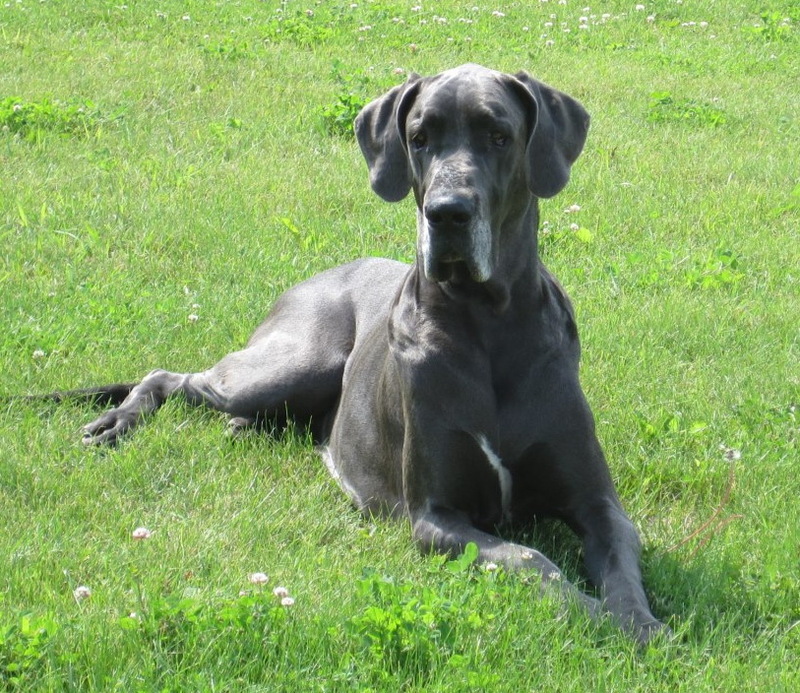 Levi earned his CGN unprepared on a whim with no previous training, he was just a well behaved boy and I knew he could pass the test. Levi earned his CD in four tries (three passing scores are needed) including one High in Class. 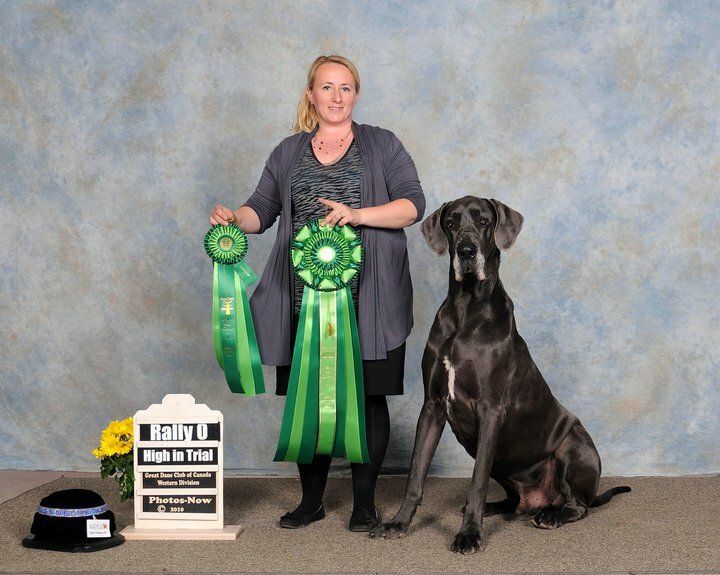 Levi's RN title came with the very special honor of a HIT at our Great Dane Club of Canada's 2011 Regional Specialty. On that same day Levi was also awarded BOS Altered at the specialty in his own way of just having fun playing the stand for food game with mom. 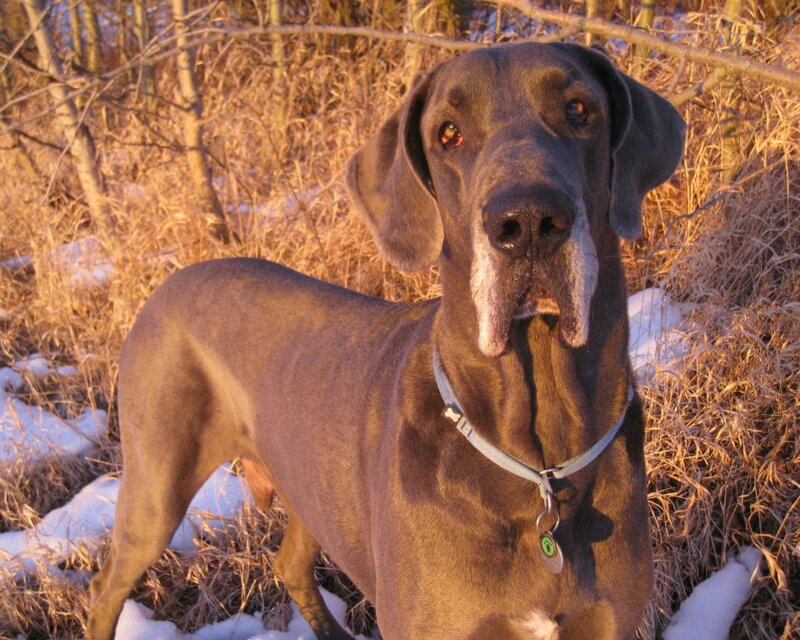 When Levi was three we became a certified pet therapy team visiting people in extended care facilities. We began visiting children at the Stollery Children's Hospital in Edmonton Alberta, bringing hugs and smiles to those who need them. 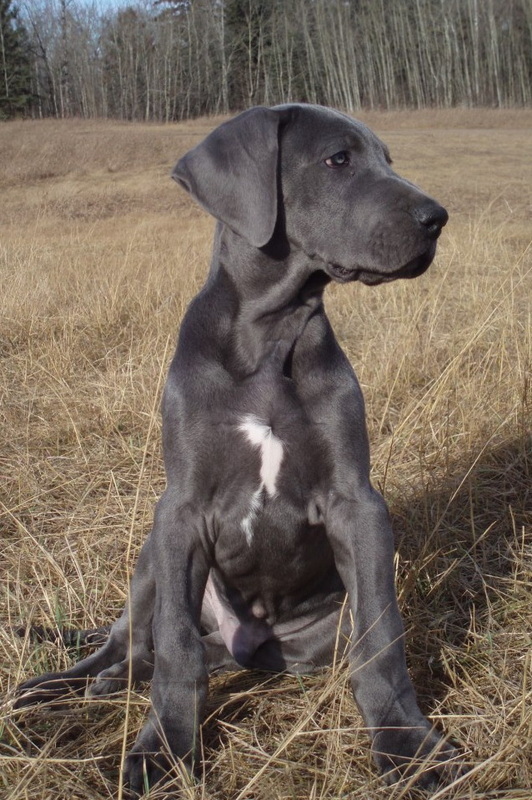 from the Great Dane Club of Canada. but to the many lives he had touched. 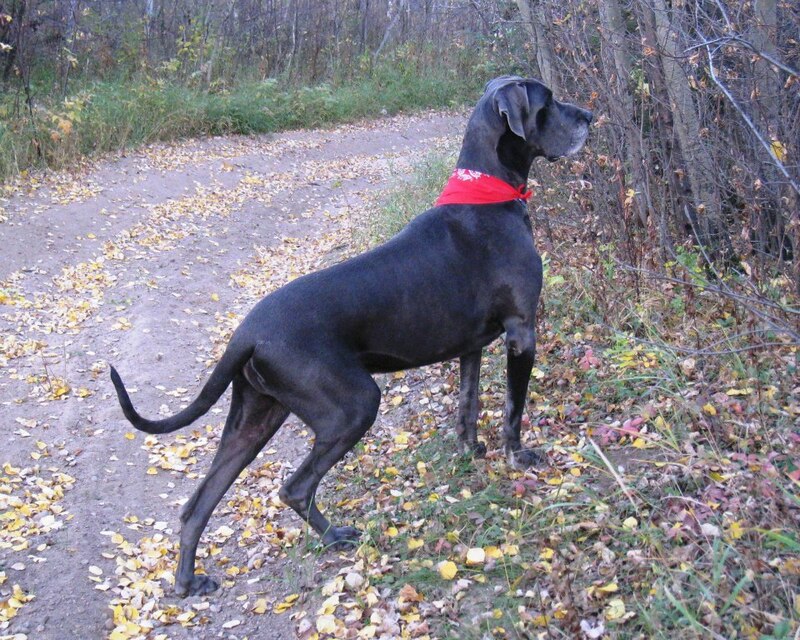 He really was "Some Dog"
(Therapy Dog International) at a week shy of 7 years old.